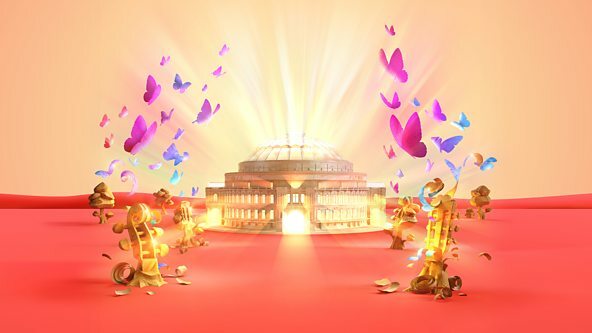 The programme for the BBC Proms was announced yesterday (19 April 2018) and was launched by the BBC with a celebration at the Imperial War Museum (linking to one of the themes of the season, the centenary of the end of World War One), with live music including the BBC Singer, conductor ,singing Hubert Parry's My soul there is a country, from Songs of Farewell (linking to another theme, the centenary of Parry's death) and two BBC Young Musicians, both cellists, Sheku Kanneh-Mason and Laura van der Heijden, playing a tango. Whilst David Pickard, director of the BBC Proms, has said in the past that he dislikes concentrating on centenaries, this year includes a number that cannot be avoided and which offer the possibility of a more diverse approach. So for the centenary of Hubert Parry's death, the programme covers not only Parry's Symphony No. 5 and Blest pair of sirens but includes music by Parry's pupils at the Royal College of Music such as Vaughan Williams, Holst, and Bridge. And these composers link into the World War One theme, as RVW's Dona nobis pacem and Pastoral Symphony, and Holst's Ode to death arise directly out of the political situations of the time. There are modern comments on the war too, the First Night includes a new commission from Anna Meredith which is being created with 59 Productions to provide an aural and visual event. Then the Last Night will open with another commission from Roxanna Panufnik, also reflecting on the war. In between, at a concert celebrating the 50th anniversary of the London Sinfonietta, George Benjamin conducts the ensemble at the Roundhouse in a programme which includes Messiaen's Et exspectoreurrectionem mortuorum, his tribute to the dead of both world wars, plus four world premeires from composers from countries involved in the conflict, Luca Francesconi, Georg Friedrich Haas, Hannah Kendall and Isabel Mundry. The number of women composers commissioned this year is high, and the Proms at the Cadogan Hall includes a series of commissions to female composers who have not be commissionned by the Proms before, Caroline Shaw, Eve Risser, Jessica Wells, Lisa Illean, Suzanne Farrin, Laura Mvula, Bushra El-Turk and Nina Senk. Other women composers feature in the Proms too, including Ethel Smyth whose prelude to Act Two of The Wreckers, On the Cliffs of Cornwall is performed, Morfydd Owen whose centenary is celebrated and Thea Musgrave, whose 90th birthday is also celebrated. Another woman whose work comes in from extensive celebration is the French composer Lili Boulanger (who died in 1918) and four of whose works are being performed including the large-scale setting of Psalm 130, Du fond de l'abime. Boulanger is one of a number of French composers featured as part of a celebration of Debussy (an the centenary of his death) and his role in shaping 20th century French music. Of course there is Pelleas et Melisande (from Glyndebourne) but other works too including La demoiselle elue and Jeux. Another big name during the season is that of Leonard Bernstein, with a variety of events aiming to cover a multiplicity of his talents from the symphonies (conducted by Marin Alsop) and the Serenade to West Side Story (with John Wilson and his orchestra) and On the Town (with John Wilson conducting the London Symphony Orchestra on Bernstein's birthday). Bernstein's own Proms appearance conducting Mahler's Symphony No. 5 and Mozart's Clarinet Concerto will be evoked with that programme conducted by Thomas Dausgaard (himself a pupil of Bernstein's). Bernstein's role as a communicator will be evoked when Gerard McBurney, Joshua Weilerstein and Royal Philharmonic Orchestra will present The Sound of an Orchestra. Out of the general themes, there are other good things such as Jonathan Cohen and Arcangelo performing Handel's Theodora, Teodor Currentzis and MusicAeterna in Beethoven symphonies, Anna Prohaska, Il Giardino Armonico and Giovanni Antonini in Graupner, Sartorio, Locke, Handel and Hasse, Sally Matthews, the BBC Philharmonic and Juanjo Mena in scenes from Barber's Anthony and Cleopatra and Britten's Les Illuminations. Visiting orchestras include the Baltimore Symphony Orchestra, the Berlin Philharmonic Orchestra, the Bergen Philharmonic Orchestra, the Estonia Festival Orchestra, EU Youth Orchestra, Minnesota Orchestra, Orchestra of the Academy of Santa Cecilia, Rome, Swedish Chamber Orchestra and the West-Eastern Divan orchestra. For the Relaxed Prom on Bank Holiday Monday, Sian Edwards and the Bournemouth Symphony Orchestra (BSO) will be joined by James Rose and BSO Resound, the BSO's disabled-led ensemble. Of course, not everything is perfect and it is only too easy to find gaps in the season. You cannot help feeling that the World War One centenary could have been more imaginative, why not John Fould's A World Requiem, or perhaps music from Germany and Italy from the same period, works like Pizzetti's Requiem which seem to partake of the troubled post-war atmosphere. And with the centenary of Women's Suffrage, you can't help wish that Ethel Smyth (who was herself involved with the suffrage movement) was better treated. Granted the BBC is doing her mass in November, but surely we could have had something more substantial than an overture, fine though it is. And why so few other women composers of the period such as Rebecca Clarke. Full details from the BBC Proms website.